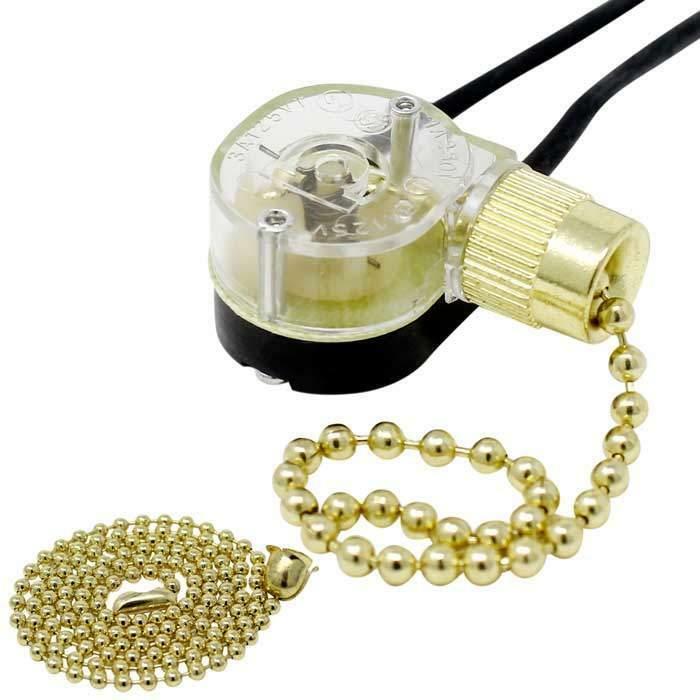 Fix your ceiling fan or light fixture with the Zing Ear ZE-109 fan and light switch. 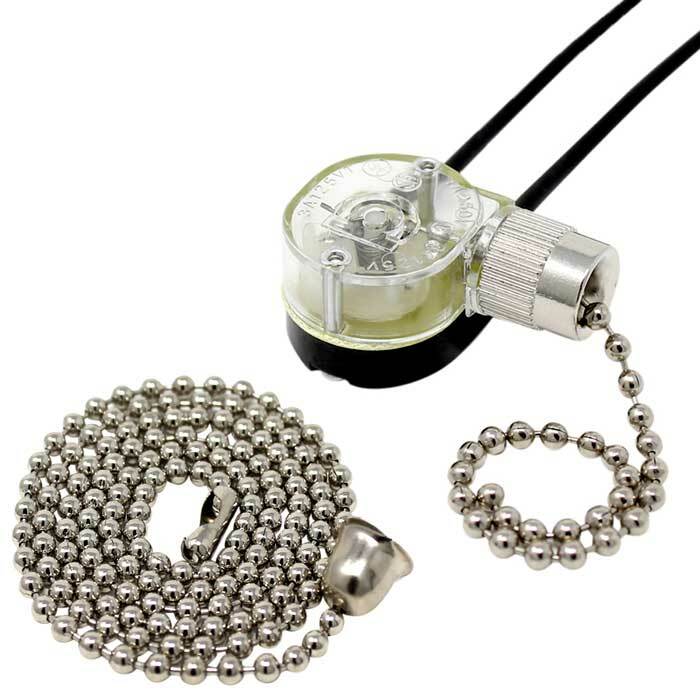 It activates light fixture or ceiling fan light by gently pulling the attached ball chain. 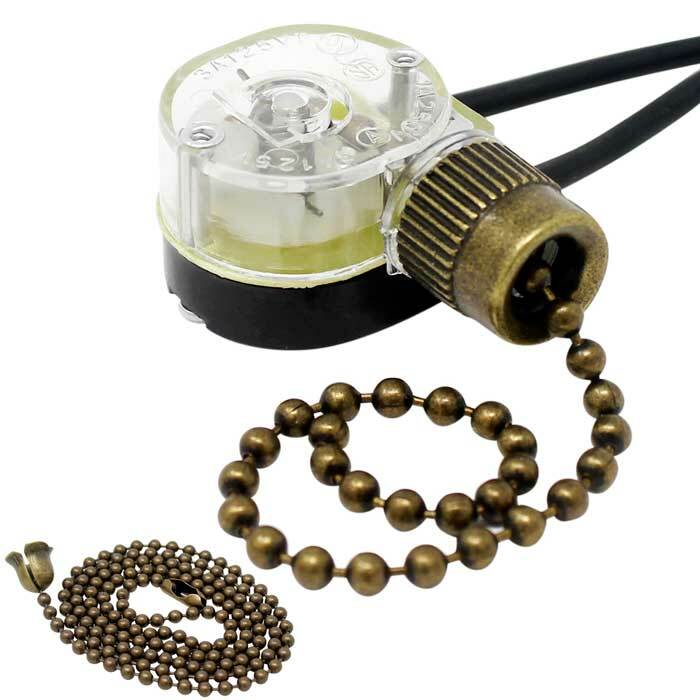 This 2 wire pull chain light switch is UL recognized and CSA certified, therefore, it is safe to be used in any household application in USA and Canada. It is also universal and works with many ceiling fan manufacturers such as Hunter, Hampton Bay, Harbor Breeze, Westinghouse, Kichler, Casablanca, and others. KTE 303A, Zing Ear ZE-119.